I grew up in the 1970’s and 1980’s in a one TV family. This was back before there was cable and all the options we have now like Tivo or On Demand which means I can watch what I want, when I want to watch…like late at night when the kids are sleeping or on weekends when I’m not writing. As a child in a family of six with only one TV, I didn’t get a lot of say in choosing programs. Fortunately, Sunday night was always a family night which meant The Wonderful World of Disney, which ran for twenty-one years on Sunday night. I’m a Disney girl…love the cartoons and movies and have raised my kids on Disney, too. 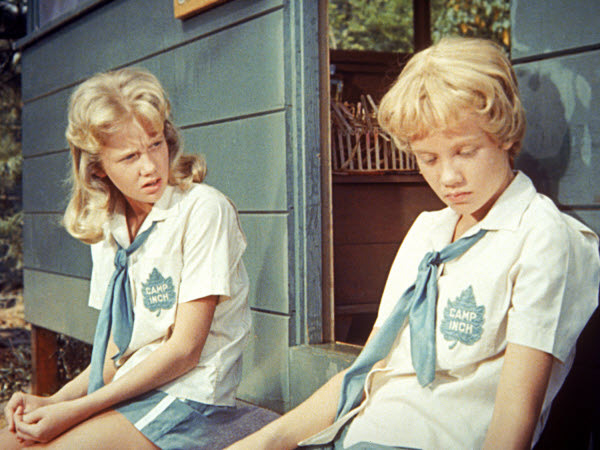 One of my all-time favorite Disney movies was the 1961 film, The Parent Trap, starring Hayley Mills. I loved the premise… what if I had a twin sister somewhere (never mind the real sister and brothers already in my family)? What was my twin doing? Would she like me? Was she doing okay… or was she living a more privileged life than I was? Clearly, I wasn’t the only little girl who loved The Parent Trap, because years later Disney remade the movie in 1998, casting the unknown child actress, Lindsay Lohan, as the Hallie Parker/Annie James and watching the movie with my three-year-old son, Jake, I fell in love with the new version, because this time Nick Parker (Dennis Quaid) and Elizabeth James (Natasha Richardson)’s love story caught my imagination. I was enchanted by their glamorous careers and lives, and being a Presents author in the making, I, of course, loved how he was a ruggedly handsome Napa Valley vintner, and she was a chic, lovely, yet vulnerable wedding gown designer in London. And then one day, I had a twins story of my own. I told my Harlequin Presents editor that it was a cross between The Parent Trap and The Prince and the Pauper, where two sisters are separated at birth and grow up in very different circumstances, and bump into each other as adults and switch places for a brief period in time. My editor loved the premise and told me to write it. 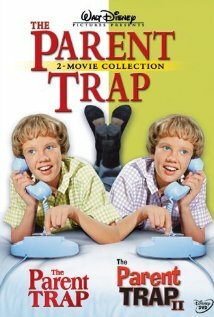 Did you ever see one of The Parent Trap movies? If you’re like me, and watched both, did you have a favorite? Did you ever imagine you might have a “twin” somewhere? I have given up my missing twin fantasy, but it was such a fun premise to write about! Click over to iheartpresents.com where this article originally posted to check out the comments that this essay inspired.